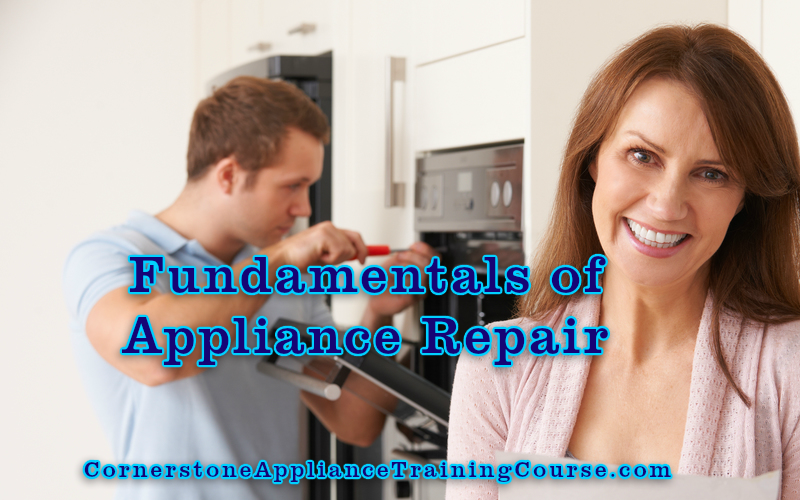 Our Appliance Courses are Self-Paced & Designed for Anyone. From complete Beginners or Seasoned Techs... Employers that have New Techs that they would like to train. We provide all the tools you need, you just need to grab a cup of coffee, turn on your computer and get ready to learn! 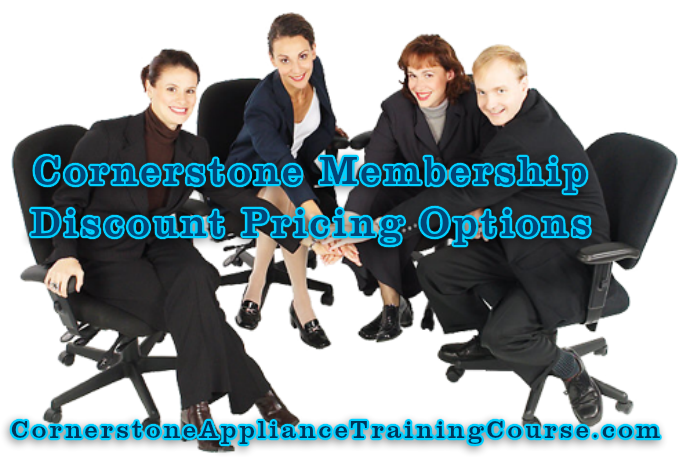 Our motto is; the "More You Learn" the "More You Earn" & "More Customers = More $$$"
Includes 2 different membership options; Starter and BusinessPro. Live Tech Support, Life Time Membership, Free Appliance Repair Business Website (20+ Pages) with Free Hosting, Installation & Setup, Free Appliance Repair Job Rate Guide, Free Appliance Troubleshooting & Repair Manual (1200+ Pages), 8 Appliance Repair Training Modules, Advertising, Troubleshooting Shortcuts, Appliance Forms, Parts, Tools, Advertising, Free Appliance Tech Pro, Free Warranty Account, etc... Each membership offers it's own separate set of benefits catering to your needs. View Your Membership Options. 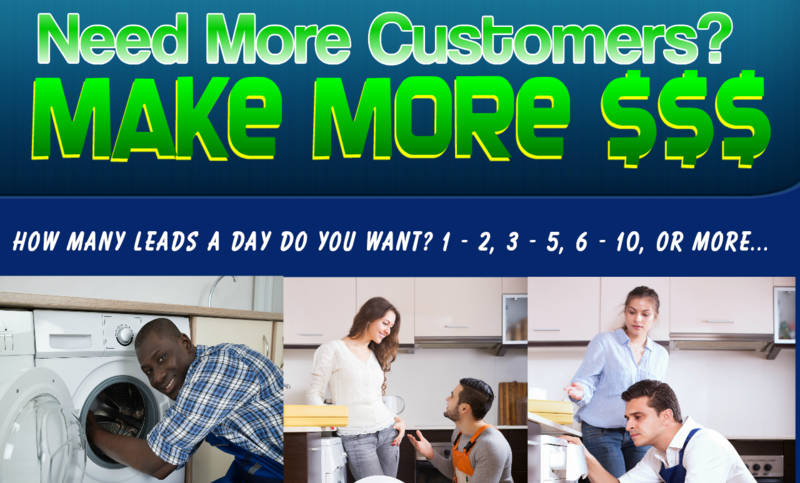 Here’s the Fast, Easy, and Most Affordable Solution to Unlimited 100% Appliance Repair Leads. 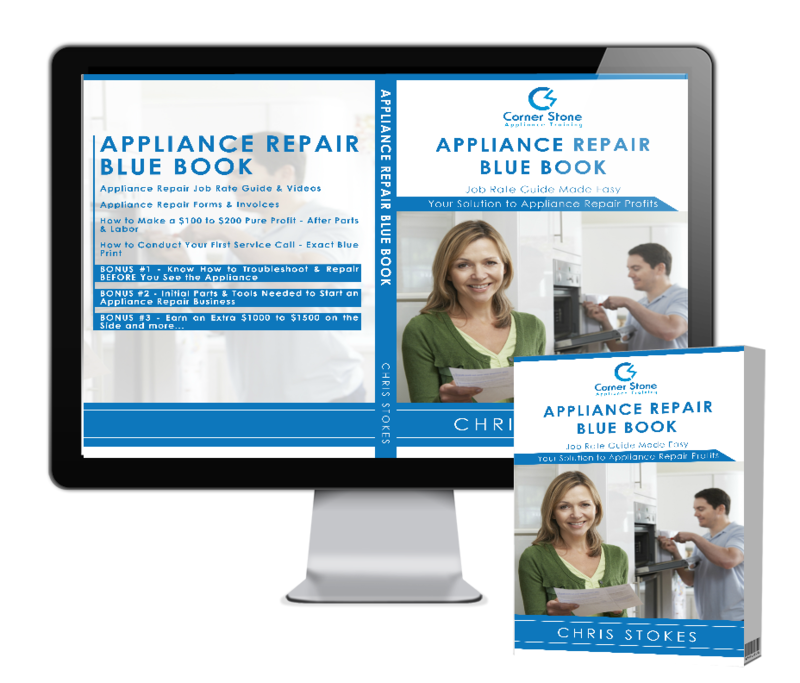 Start Getting As Many Appliance Leads As You Want. How Many Leads do You want a Day? 1 - 2, 3 - 5, 6 - 10 or more. For A Very Small One-Time Payment - No Contracts, No Pay Per Lead, No Pay Per Click, No Expensive SEO Monthly Contracts, No Nonsense. 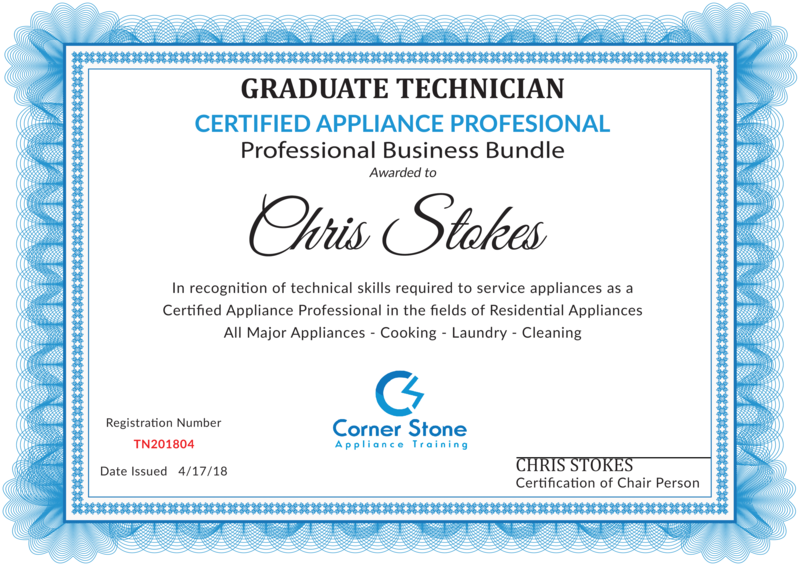 Includes all 8 of the above Appliance Training Courses (Fundamentals, Refrigerator Repair, Appliance Tech Pro, Advanced Troubleshooting, Appliance Blue Book, Professional Service, Business Management, Selling Used Appliances), Free Appliance Repair Manual (1200+ Pages), Free Digital Multi-meter (Voltmeter), 2 Professionally Designed Appliance Business Website (1 Appliance Repair 20 Page & 1 Sell Used Appliances 15 Page),Your Professional Appliance Company Video . **BONUS** ARMS Gold Course. You are getting this Complete Package (Limited Time Offer) at unbelievable discount, saving you $700! 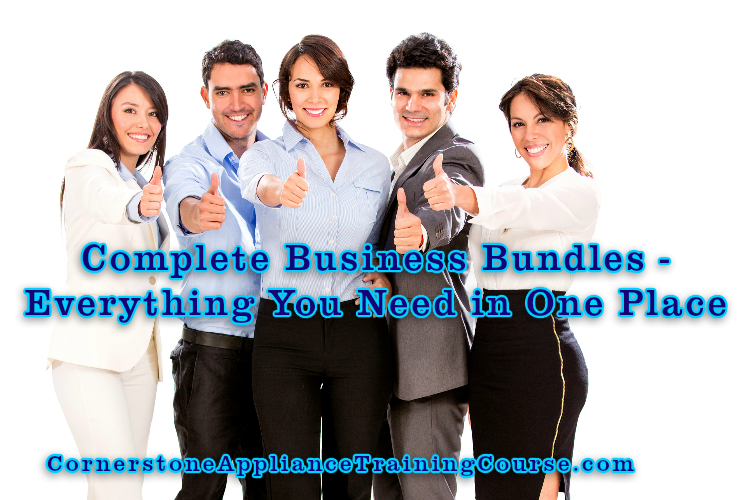 Purchase the Professional Business Bundles Courses. 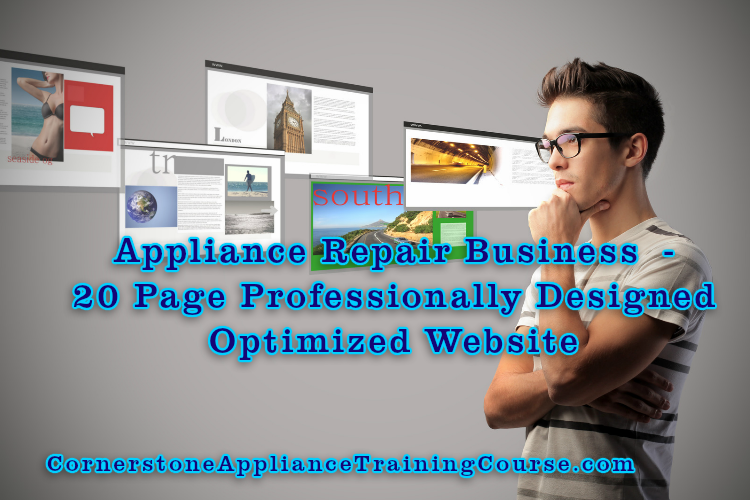 Need an Appliance Repair Business Website? No Problem! Here is a 20 Page Professionally Designed and already Optimized for the Appliance Repair Business with FREE Setup, Installation and 6 Months FREE Hosting. Choose the option that best fits your needs. 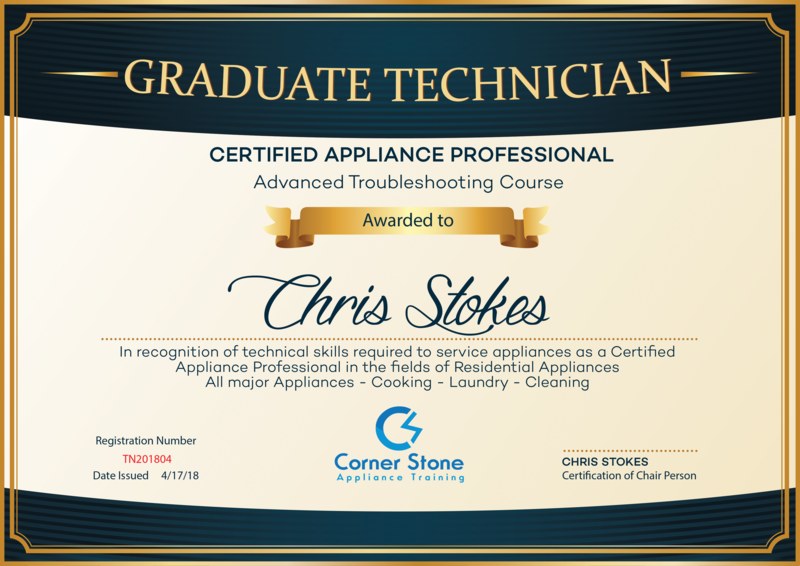 Take a look at your example website below..
Why Should You Choose Our Appliance Repair Courses? 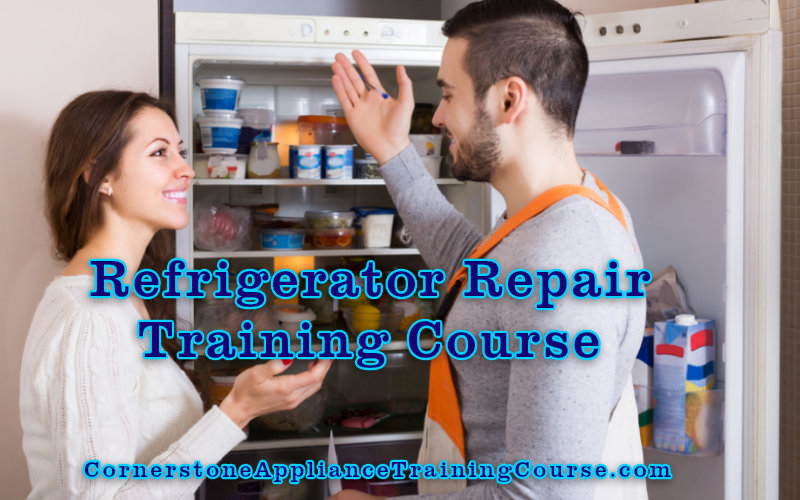 We Have Designed And Delivered A Custom Appliance Repair Training Solution Centered Around Your Training Needs And Requirements. 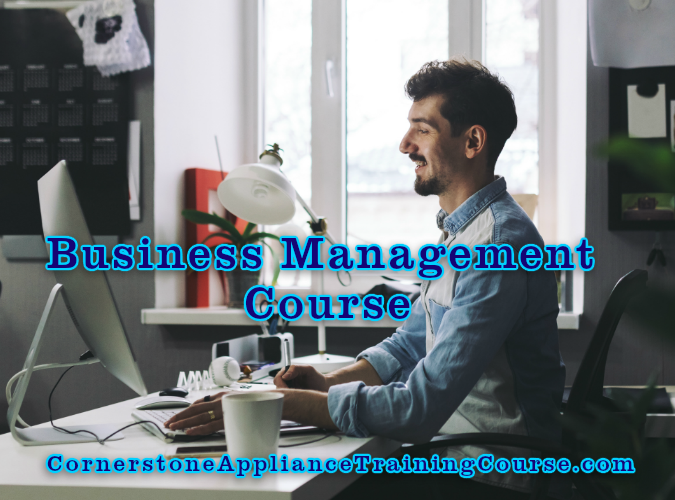 We offer a comprehensive Training Course whereby you are able to learn, grow and discuss your training requirements with dedicated training experts who has the knowledge and the experience to assist you should you need our help at anytime. 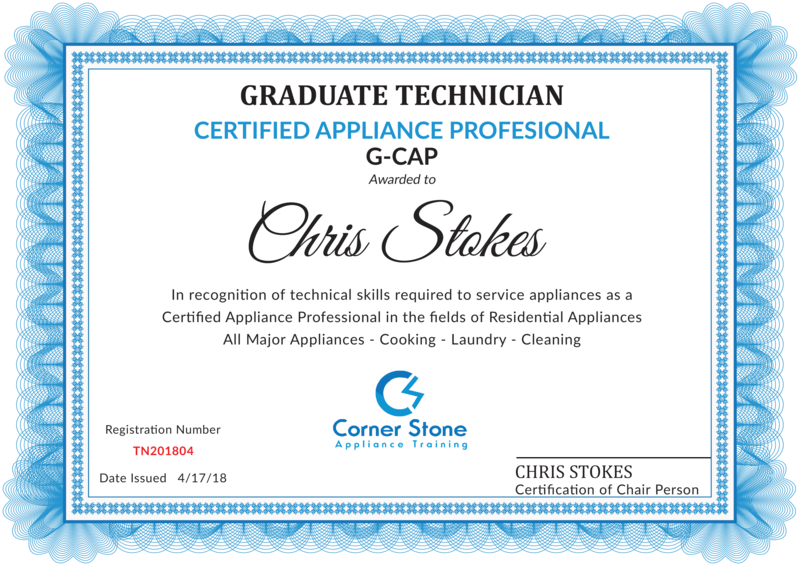 We also offer a variety of practice quizzes and module exams about the specific Appliance Training requirements of different appliances that you will encounter as you learn to troubleshoot & repair major home appliances, as well as continuous updated course materials and step-by-step videos covering modern appliances. 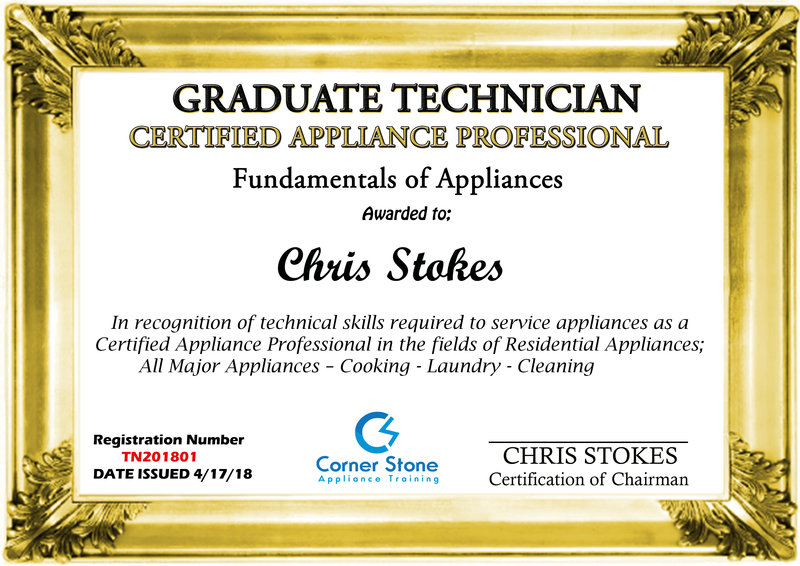 All students after completing the Cornerstone Appliance Training Membership(s) or Course(s) that want to earn (not required to start your appliance business) our Appliance Repair Certification Certificate(s) will have opportunity to do so. You must meet the Course Standards by taking the Final Exam and passing it with a score of 90% or higher. Don't worry we will teach you everything you need to know.